What Happens At An Amish Communion Service? 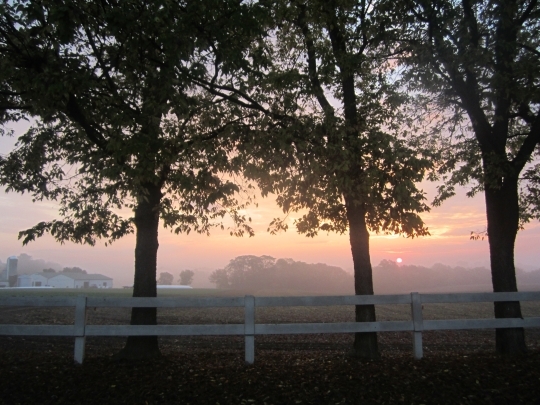 The Amish hold Communion twice yearly, in the spring and in the fall. The Communion service is an important time of affirming unity, described as “the highest and holiest moment of the Amish church calendar” (see The Amish Way p. 69). It renews the memories of the great sacrifice made for our sakes, and our consequent privileges and duties. It emphasizes the necessity of self-examination. When observed in the right spirit, it impresses upon those who witness the observance of the ordinance the fact of Christ’s suffering and death. So how do the Amish prepare for Communion? What happens at the service itself? And what is Council Meeting and why is it important? In today’s post, Rebecca Miller (who previously described how Amish youth prepare for baptism) answers these questions and more, with an account of the most recent Communion services in her Holmes County settlement. I would like to begin with the preparations for Communion, which starts two weeks earlier at Council Services. Actually from the ministry’s viewpoint it starts earlier as they have a meeting to discuss issues and make decisions about changes, etc. they might want to bring before the congregation. If there are erring members they will need to decide how to approach the situation. They will also want to be sure they are all in unity. Then Sunday morning Council Meeting services begin like usual, except the children aren’t present. Council Meetings and Communion are only for the members. I know in some communities the children go along for the services, then just leave the building while the members have meeting. Around 11:20 we start going in for lunch. At Council services we usually split in two groups and the minister keeps preaching. He finishes the service then and the congregation sings until everyone is done, then the bishop gives a talk following a path through the Old Testament, mostly commenting on what the ministers shared in the forenoon. Then, following that, he reminds everyone that we want to be honest and upright people, and then goes over the Ordnung (spoken church rules). After this, he shares that they (ministry) have all come to an agreement on these things and would wish to hold Communion with the congregation in two weeks, and the ministers can now go ask the church for their “Rot” (vote/council). Each person then has the opportunity to give voice of their opinions and concerns. If everyone is in unity, then Communion is set for two weeks in advance. Everyone is urged to make things right with people if they have anything between them that might hinder good feelings. Then the in-between Sunday we have a fasting and prayer day to release “he who we might have blamed unjustly” and any grudges we may have toward our fellow church members. This service may be on Saturday or Sunday. The beginning of the services is similar to a regular church Sunday. We are likely to get more visiting ministers. Following is a description of our latest Communion services, attended by all our church members, a couple from a neighboring church, two visiting bishops, four ministers, and two deacons and all their wives, and some little children. We sang four hymns while the ministers were in “Abrot” (ministers’ council). The first sermon, the “Forstellung” (introduction) is done by a bishop. He stays sitting in a chair, and gives an overview of what we will be hearing during the day. At Communion, unlike other services the ministers have a certain path they follow. They call it The Golden Path–from the patriarchs, through the prophesies, and into the New Testament. After about 20 minutes he finished and a visiting minister had the “Anfang” (beginning). He has a powerful voice, and was very expressive. He really had a way of keeping everyone’s attention. He really got us to think of Psalms 139, about having a clean heart, being forgiving, and striving to follow Jesus, our salvation. He told us that we can’t only give our lives to God and that is it- we need to keep growing, keep going forward, and grow in the Spirit and bear fruits, and seek to better our lives through Christ. He also explained the Headship Order so well. He then followed up with a sermon from Creation through to Abraham. After his sermon, Luke 22 was read. The third sermon was also by a visiting minister. We call this one the “Altvater” (patriarchs). He explained “Gelassenheit”, joy in submission, so well. He spoke in a strong voice, loud and fast and had a great gift for quoting scripture. He picked up the Golden Path at Abraham and followed through to Moses. He spoke much of the importance the Israelites placed on keeping their promises and how we should also be very diligent in keeping our promises to God and the church. At 11:20 the first group went for lunch (we split into 3 groups, since there were more people). We had delicious potato soup, besides our usual church meal. By 12:45 we were all done and the fourth minister was standing. He read 1 Cor. 10 and commented on it . We call this the “Leide,”(Suffering of Christ) or simply The Main Part. He had a soft voice, conversational and kind. He took the story from the Israelites, up through the patriarchs, the prophesies of Jesus, and into the New Testament, Jesus’ birth, childhood, ministry, and especially His suffering, sacrifice, and resurrection and ascension. He spoke so “feelingly”, it was like you were right there! By 3:00 we were ready for the Communion interspersed with scripture readings and special prayers. He explained how–like a grain of wheat dies and is then raised up in spring with sunshine and rain–so our Christian life should be–the dying off of the old man and the growth of the new man in Christ. The same with the use of wine. 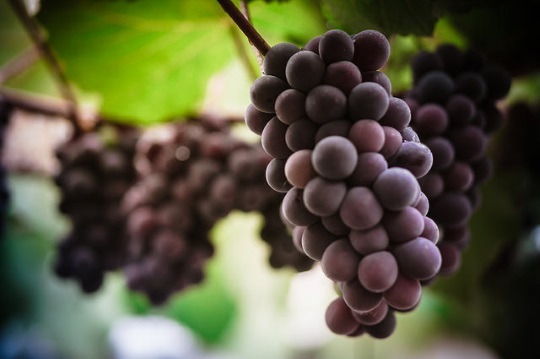 The grapes are pressed and the impurities have been fermented off and together all the grapes become a pure thing, sweet to the taste, so Christ’s blood can also cleanse all our impurities and together with other members we can become something sweet and good. Then the bread is passed followed by a prayer and scripture, and then the wine. Then he finished the services by reading the scripture pertaining to foot-washing and alms and asking testimonials from our bishop and two visiting minister. This is followed by the salutation, an invitation to visit their church, and prayer. When the congregation starts singing the foot-washing hymn, two deacons bring in four buckets and towels and we wash each others’ feet in a sign of humility and brotherhood. Then we give alms and head home with the last strains of the hymn still in our ears. The middle-aged and older couples stay for a light supper meal, but the young folks and parents with youngsters at home head home. Usually it is 4:00 – 4:30 until we are all done. If everything is as it should be, we go home with a feeling of contentment and renewed brotherhood and have realized anew what our Lord and Saviour has done for us. Here are some of the scripture references used during the day: Luke 22, 1 Cor.10 &11, and John 6 & 13. 30 responses to What Happens At An Amish Communion Service? Thanks for this interesting description of an Amish communion service. I especially enjoyed your accounts of the individual minister’s sermons and differences in their styles. In recent issues of The Budget I am reading reports from various Amish districts about their fall council meetings and communion services being held at the present time. Thank you, as usual, Rebecca. I know how special communion is to the Amish. Have you ever experienced Communion NOT being held, if all members are not in “good standing” with one another, and if so, what was the outcome? Your explanation of the general feeling of the congregation at the end of the day’s services reminds me of the feelings of relief and renewal I felt after my church’s occasional “retreats”. I read this account to my son, Mark, who is Amish. He said that evrything is the same in communion for his ccmmunity except that after the bread and the wine they have the footwashing service. Hello Don, I REALLY,REALY lOVE your comments! Glad to read from you again. With my best wishes and kind October greetings for you and your sun Mark. Hello Don, I REALLY, REALY LOVE every of your comments! With my best wishes for you and Mark and kind greetings to both of you. What Happens at Amish Communion? We (My wife and I) drive many Amish around this community. During many of our talks about ‘religion’, they’ve never ever referred to having ‘salvation or being saved’. When it is brought up – and in many other instances where Biblical truths come into the discussion – they are noticeably quiet and seem to want to avoid even discussing most issues. We don’t press on any, but we do have this question which seems obvious on occasions. I am not Amish myself, so am very much open to correction here, but the impression that I have formed is that Amish Christians are saved as a community, and that there is such a strong sense of incorporation into the Body of Christ as being what salvation means, as well as the means of salvation, that the idea of being saved as an individual simply doesn’t arise. I think that this also explains another apparent paradox – the seeming emphasis on works, as shown through conformity, which can seem to sit oddly with a radical reformation provenance – because, if you are saved as a community, then of course the evidence of salvation will be in the extent to which you show the community’s hallmarks, whether profound or apparently trivial. I was wondering to what extent the average congregant gets to express their “opinions and concerns”. My sources indicate that, from their experience, it is not a time for discussion. One reports of there never being a single time in which anyone voiced anything other than agreement in their fifteen years of receiving communion and attending council meeting in an Old Order setting. I get the impression that unity is sacred and submission and acquiescence the highest virtues. I guess my question is, how much actual engagement is there? I’ve made the argument that, the reason the Amish are romanticized is because their actual issues are obscured. It appears from the outside that they are one big happy family. Outsiders are all aflutter about the congenial homogeneity they think is there. Engagement is hard on our side of the fence. Managing details and collaborating for some achievement is messy and gruelingly difficult. Just look at our government. Do the Amish have some silver bullet that circumvents the need for engagement? Or are they secretly engaging and we just don’t know it? I’m hoping Mark or Rebecca will comment on this. Amish friends of ours have given us a different explanation than the one Geniene is describing. Could you be any more specific? What’s the Amish interpretation of Matthew 28: 19-20 since they don’t seem to be “into” spreading the Gospel to those outside their group. I asked my son, Mark, about this. He said that the Amish are going into all the world. There are only a few Amish and a lot of world. Their way of evangelizing is to start new Amish communities and just live their lives as a witness for Christ. It is not the evangelical Protestant version of evangelizing as in passing out tracts or bus ministries. Then again, how many books, movies, documentaries, etc. have been written about the Amish and the interst they have generated compared to most other Protestant denominations. And, believe it or not outsiders do join the Amish. My son is one of them. There is a bus load of Amish from Sugarcreek, Ohio, in New York City today to sing, witness, pass out tracts, and share their faith. They will be there today and tomorrow. 1. Personal conversations with the ministry about the member’s concerns. 2. If there seems to be an issue that is causing a problem for the Church then a member’s meeting might be called for. Usually, this is for the heads of households. 3. During the Ordnung Gmay or Council Service, a member may state his/her concern to a minister as they pass by to receive the dorbeit. 4. If there is a really severe problem in the Church that the ministers don’t feel able to deal with they can ask the church for permission to ask for help from outside ministers, usually from outside the commmunity. These outside ministers will interview each and every member of the Church to come to a conclusion of the matter. They will give recommendations to the ministry on how to deal with the troubling issue. Thank you, Don. This matches what I have heard from various Amish friends, customers, and neighbors, although I don’t recognize “dorbeit.” Is that what I have been told is the vote? I’m guessing so. Don, Although I am from the Holmes Old order, it sounds like we are very much in agreement with your son Mark’s way of doing things. And some of the earlier comments- I guess they must be talking about a totally different group of Amish, I know many , many Amish who believe in personal salvation. Community salvation will not do the trick. Each person needs to make a personal commitment in his heart. And as far as I know this is preached every Sunday in Amish churches in this area and hopefully in many others. Part of the reason some Amish aren’t comfortable in talking about it so much is that they do most of their Bible reading in German and it’s hard then to say exactly what you mean in an English conversation. And also many believe we should not be trying to force our way of thinking onto others or that it is wrong to argue with folks about scriptural issues, so unless I would know exactly what community or specific group they’re from it would be hard for me to tell you why they might be reluctant to discuss church issues. And about spreading the Gospel. Many Amish support overseas missionaries and go on DRS projects and just believe in “Let Your Light So Shine”. Hopefully this will answer some questions. Just to clarify something, the Mark of Holmes County is not my son, Mark. My son lives in the Belle Center, Ohio Amish community. Secondly, I always sign myself as Don Curtis. I am not the person who signs himself as Donald. Thank you. I didn’t think about the possibility of people getting us confused because I write “Donald,” but I could see how that could use some clarification. I’ll use my initial and hope that helps. I always enjoy your reports from your discussions with your son Mark. And speaking of Marks, where IS Mark of Holmes County? It’s been awhile since we heard from him. So how do the Amish see communion? We Catholics, for instance, believe the Eucharist to be the literal body and blood of Christ. Lutherans believe in something similar, but not quite the same. Baptists believe it is just a symbol to remind us, Anglican belief varies by high church/low church. I’d imagine that they see it similarly as the Baptists do: a symbol to remind them of Christ’s atoning work. Just curious. Thank you! This is all said in German and is a paraphrase of what Mark says. Everybody says something similar but not ncessarily, identical. As far as communion the Amish look at it way Christ looked at it. Jesus said, “Do this in remembrance of me.” So, that is what the Amish do. It is not a sacrement. It is bread and wine not Jesus’s literal body and blood. When visitors are present from other Amish districts, do they participate in the taking of the bread and the wine, or do they leave the room at that time? Is the bread and wine only for the members of that specific Amish district? I asked my son, Mark, about this. He said that there are very few visitors from the local community unless they are in the ministry and helping to officiate. Mark has noticed that when there are visiting ministers and their wives are with them from other districts or from other communities that are helping to offciate that they do participate in the commmunion, as ell. There have been times when a member in another district has been absent for one reason or another at their own district’s communion and they may come over to a Mark’s district. In that case the bishop states that they wish to participate in communion and have stated to him their Dorbeit.. Thank you, Don, for this information. I continue to enjoy and appreciate your postings on Amish America and Mark’s willingness to provide information and insight about Amish faith and life. I forgot to mention that Mark said that ministry ordinations take place after commmunion. There are often visitors from other districts who come to see who the lot will fall on and will be ordained. They don’t come for the full communion service. Just late in the afternoon. They start showing up around 3:00 or so and wait until the ordaining service. I asked my son, Mark, who is Amish about your comment. Of course he doesn’t know the particulars but he said that Amish communion is a “closed communion.” Only members take part in the communion. Although in Mark’s church there have been visitors present. They just don’t take part in the actual communion. Mark wanted to know if perhaps you have shown up on Ordnungs Gmay and not Gross Gmay. Ordnungs Gmay is two weeks before Communion when they go over the rules and hear confessions, etc. Ordnungs Gmay is closed to non-members. The doors are closed and nobody is allowed in except members as confessions may be heard and are to be heard only by the members of the church. Don has given a good answer. In Ordnungs-gmay, no one who is not a member is present. In communion, this is a very solemn, serious occasion. I’m surprised a non-Amish person would want to participate in the 8 hour communion service in German. Some people might find it hard to sit that long but especially if they do not understand the preaching. I’m surprised anyone would think to drop in at such an event or if they were unaware something was going on and arrived to find church services going on would not just leave. If I were “Chris” I’d probably be very flustered. I would be embarrassed at walking out of church services and unsure of what the best way would be to respond and very conscious at how the interruption might distract the minister preaching as well as those listening. In all the years I’ve attended council or communion services, I don’t recall non-member visitors or interruptions of any kind. If I’m going to drop in on my Amish friends and see they have company I just keep on going. The same with them, if they see cars in my driveway that aren’t mine they don’t drop in. It’s different if it’s by invitation or prearrangement. I wouldn’t dream of interrupting their church services and if you showed up after 8:30 in the morning, you were interrupting. We have been invited to weddings of all their girls and we were told when to arrive. We did not sit through the whole wedding ceremony but arrived around 11:00 and were seated on a reserved bench and were there to watch the exchange of vows. All of the non Amish and non German speaking guests arrived together. Kate, that is how it is done in our area as well. Assuming non German speaking people are not going to enjoy the long service they are invited to come later and seated on benches that have been saved for them. There is also going to be a very large group of women & girls arriving around the same time — all the cooks, tablewaiters, etc. who have been busy all forenoon preparing the meal are going to arrive at church in a big group and they are seated long enough to watch the couple actually get married and then they leave to go back to the job of getting everything ready for dinner. A wedding “feels different” from church, though. It’s still a worship service but it is very different from regular church, baptism, council church, or communion. Are the children allowed to participate in communion? Who is allowed to take communion? Leave a reply to What Happens At An Amish Communion Service?